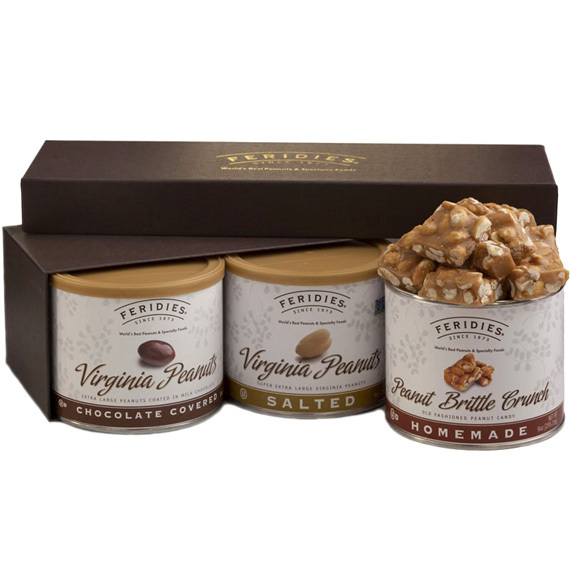 The Variety Pack has always been one of our best selling gifts. Inside this attractive brown gift box you will find our award-winning 9 oz. 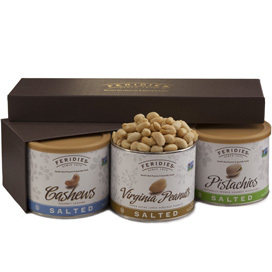 Salted Virginia Peanuts, 9 oz. Peanut Brittle Crunch and 11 oz. Milk Chocolate Covered Peanuts (9oz Honey Roasted Peanuts substituted April through October). Shelf life is approximately 1 year. OU Dairy Kosher Certified.